Michael Morris holds the Chavkin-Chang Professor of Leadership at Columbia Business School. He is also associated with the Psychology Department of Columbia University. He teaches M.B.A. and executive-level classes on leadership, teamwork, communication, negotiation, and decision-making. He designed and runs Columbia’s Leadership Lab, which translates emerging research insights into new forms of leadership training. He chairs the school’s Organizational Culture Committee and serves on the university’s Committee on Global Thought. Outside of academia, his consulting and training work brings him into contact with may private and public sector leaders from around the world. In his research career, Professor Morris has published over 200 articles in the leading psychology and management journals on topics such as individual decision-making, interpersonal influence, and social networks. His early research on culture and cognition played a key role in the blossoming of the field of cultural psychology. His scientific papers have received international awards from scholarly societies in the fields of social psychology, judgment and decision-making, psychology in the public interest, Asian psychology, management, human resources, marketing, and others. He is a founding editor of the journal Management and Organization Review and an associate editor at several other journals. He has served on National Academy of Science and National Science Foundation panels advising the Armed Services about managing cultural differences. 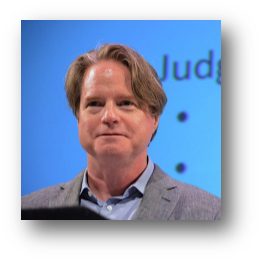 Prior to joining the Columbia in 2001, Professor Morris was a tenured Professor at Stanford’s Graduate School of Business and Psychology Department. He served as a visiting professor at the Chinese University of Hong Kong in 1995 and at the University of Hong Kong in 2000 and at Universitat Pompeu Fabra in 2008. He earned a Ph.D. from the University of Michigan in 1993 and B.A. from Brown in 1986. Leung, K. & Morris, M.W., (2014). Values, schemas and norms in the culture-behavior nexus: A situated dynamics framework. Journal of International Business Studies. Morris, M.W., Savani, K., Mor, S., & Cho, J. (2014). When in Rome: Intercultural learning and implications for training. Research in Organizational Behavior 34, 189-215.